When I was ten years old my grandpa and I went to Honduras to visit my aunt, who was serving in the Peace Corps. During the two weeks I was there I learned a few key phrases in Spanish, experienced a new culture, made new friends, learned how to make tortillas from scratch, and was awoken early each morning by a rooster. The experience made me look at the world from another perspective and made me appreciate many of the things I took for granted living in the United States, such as clean water, education, and paved roads. That trip was a pivotal moment in my life; I promised myself that I too would one day join the Peace Corps. 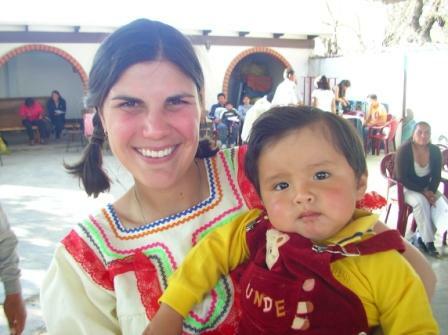 Realizing the Dream: In May 2006, my dream of serving in the Peace Corps came true when my husband and I departed the United States for Bolivia. We arrived in the city of Cochabamba, where we spent three months in training. Half the day we took Spanish classes and the other part we learned about Bolivian culture and gained more skills in our project areas. We were part of a group of 30 other volunteers. Each of us lived with a different Bolivian host family. After those three months of training we were then sent to our sites, where we would spend the next two years. My husband and I were placed in Huacareta, in the region of Chuquisaca, a rural village of about 1,000 people. 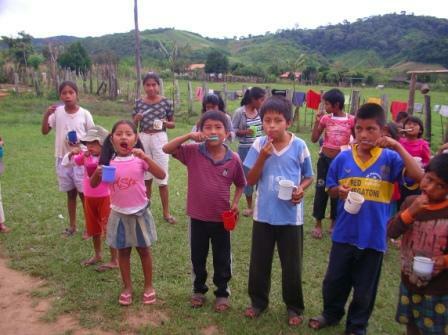 Working in a Bolivian Community: My main project was to work with the schools in and around Huacareta. I taught children and women’s groups the importance of sanitation, nutrition, dental hygiene, AIDS/HIV prevention, and computer skills. One of the most rewarding experiences was working with a women’s group to start a peanut butter-making business. The women learned about proper food handling, the nutritious benefits of peanut butter, accounting methods, and working together as a team with specific roles. I thoroughly enjoyed working with them; throughout the process the women and I shared many stories and laughter, and I was able to learn so much about them.